My Dad, Theodore M. Sanford, Jr., died peacefully on May 31, 2011 at age 86. 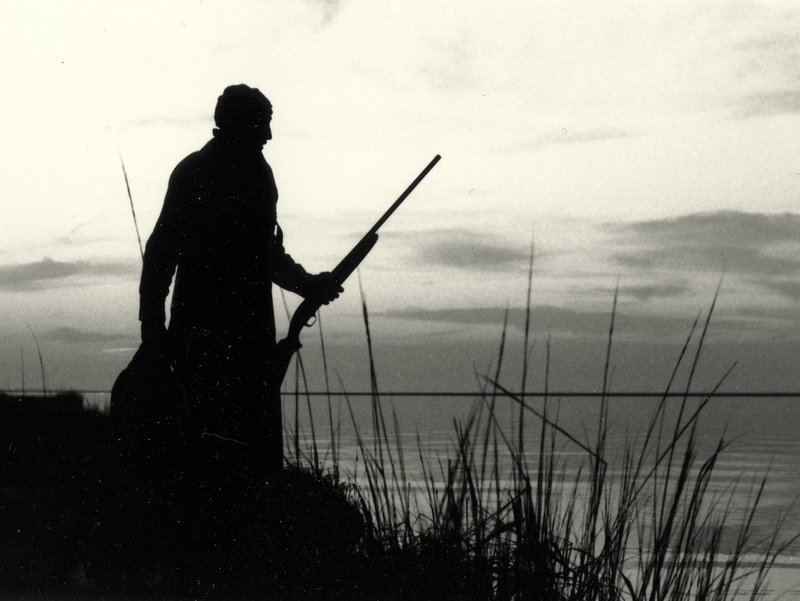 Ted Sanford was a lifelong resident of East Islip and a founding member of what was then the Great South Bay Waterfowlers; he was the first Secretary-Treasurer. He served as a Marine during WW II (Guadalcanal) and Korea, and was with NYS Parks for 38 years. 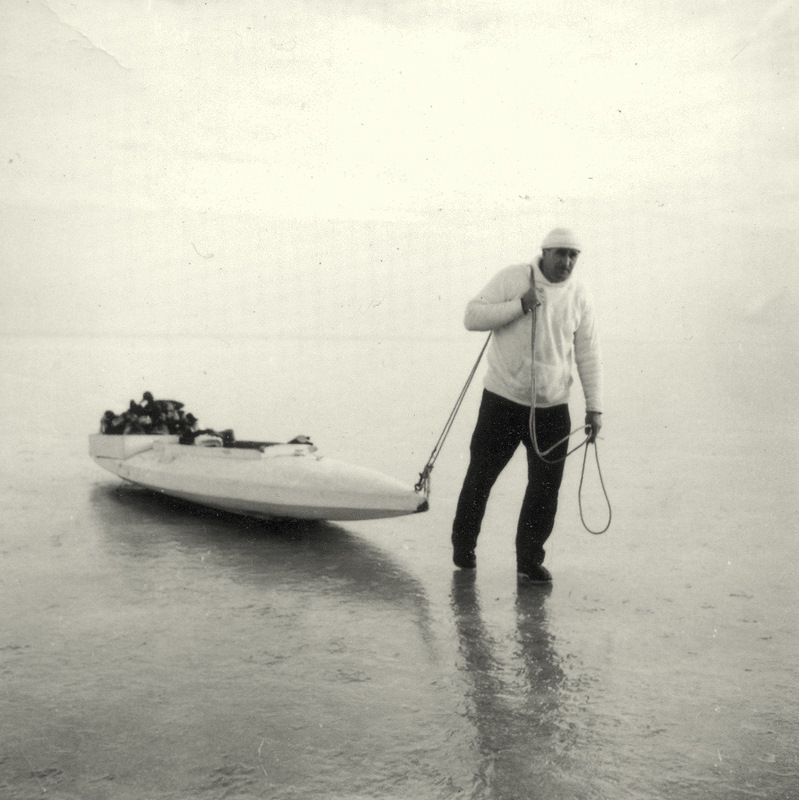 He was a gifted athlete, skilled outdoorsman and expert craftsman with a lifelong curiosity and ability to master any challenge. First and foremost, he was a dedicated husband and father to his family and a cherished friend to all who knew him. Of course, he was the one who introduced me to duck shooting on our meadows and bays. But, long before I took a gun afield, I was hooked. Growing up during the 1950s and 60s, my earliest memories, during the colder months, were of running to the back door to inspect the ducks brought home by my Dad. Each morning or evening, several would be arrayed at his feet in our entryway. With a great hands-on teacher and a well-worn copy of the Audubon Bird Guide, I learned them all early on. He also taught me how puddle ducks could rise like a helicopter and that divers taxied like airplanes. And, I knew that ducks did not sink when they fell because he told me all about how they oil their feathers. While still in kindergarten, I remember sitting in the East Islip meadows (now Town of Islip Nature Center) on a folding stool made of wood and canvas. I was content to sit still for hours, in my red plastic boots, while my Dad waited for a mallard or black to come in before dark. 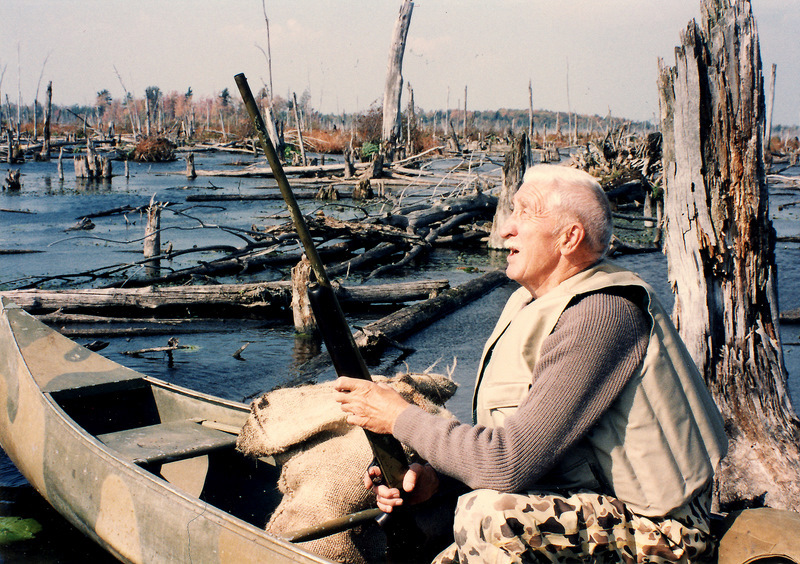 More than anything, Ted Sanford loved to hunt broadbill out of a scooter, whether his own or that of Brud Skidmore or Charlie Horal. We were also very fortunate, too, that we could hunt Timber Point Country Club back when it was in private ownership. Right where the Connetquot River empties into Great South Bay, Timber Point was a bit ragged as country clubs go, put perfect for duckshooting. We would often “run down to Timber for the last half hour” to stand in the saltmeadows for black ducks. Because my Dad was a policeman while I was growing up, he worked shifts and so could hunt at least a part of every season day. More than once, he would fall asleep in the scooter, with the rising sun warming his face after a midnight tour. I have hunted with my Dad for all of my 45 gunning seasons. Once I was settled back on Long Island (as DEC’s Waterfowl Biologist), it was my great privilege to take him hunting with me. I was able to show him some new spots and also introduce him to many of my gunning friends. He was always game and I was glad to have his eagle eyes aboard. Together, we had many adventures. One annual treat for him was getting afield with Craig Kessler and Fred Wertz. These gentlemen showed us many a great hunt, as recently as this past January. Although his lungs and heart had only a few months left, he still scored a split double on brant. Always an exceptional shot, Ted Sanford made the last of his many triples as recently as 2009 – again with Craig and Fred. He loved to join us at our Washington County farm each fall. We took him to a number of places but he was most content to stand in his blind on our Hemlock Swamp. He seemed to be “high gun” each opening weekend. On willpower alone he and my Mom drove up north a mere month ago. We sat in the woods and listened to gobbling for 2 ours on Opening Day but he did not get the opportunity to take a tom. Luckily, I was able to bring home a longbeard the next morning – with my Dad’s Winchester Model 50. It has been noteworthy that all of the condolences we have received from other outdoorsman have a common theme: Ted Sanford enjoyed a long rich life and we who have known and hunted with him have a rich storehouse of shared memories. I will be forever thankful to the man who will always be my favorite gunning partner.